The Tiguan (+73%) helps Volkswagen up a stunning 34% at home this month. New car sales in Germany soar 12.3% year-on-year in July to 317.848 units, lifting the year-to-date volume up 4.2% to 2.156.879, the highest at this stage of the year since 2000. Private sales, although remaining among the lowest in Europe in terms of market share, vastly outpace the market at +16% in July to 117.604 and 37% share vs. 35.8% a year ago and +12.9% YTD to 813.143 and 37.7% share vs. 34.8% over the same period in 2017. Brand leader Volkswagen stuns with a 34% year-on-year surge to 20.9% share, almost three times the market’s growth rate and its highest level since February 2016, also reached last May. But the most impressive performance may in fact come from VW’s premium sister brand Audi, up an equally stellar 27% year-on-year to hit 10.6% share. According to BSCB archives, this is only the third time this decade Audi breaks the 10% share milestone at home after hitting a round 10% in both January 2016 and February 2017. In fact, this could well be the highest ever market share reached by Audi at home, as well as the highest market share for a premium brand in Germany in at least 40 years, equalling Mercedes’ 10.6% hit exactly a year ago in July 2017. The all-new Q8 arrival coincides with Audi reaching its highest ever market share at home at 10.6%. Mercedes (-16%) which, alongside with BMW (-15%) endures double-digit losses this month. Skoda (+31%) manages to outsell Opel (-10%) for the first time in history to rank #6 brand in Germany for only the third time ever after December 2012 and September 2017, while Seat (+73%) posts an even more striking surge leading to record volumes (14.016) and share (4.4%) and an all-time high 8th place first hit in February 2015. Adding Porsche (+56%), all five main VW Group brands are at least doubling the sturdy July market growth, an incredible performance that is reflected in the models ranking (see further down) but that is also likely to be related to the difficulty the Group is having getting its vehicles ready for the new WLTP emissions test standards, thus pushing as many new sales as possible between now and September 1 when WLTP gets online. Contrary to what LMC Automotive is currently saying, these additional sales aren’t self-registrations or fleet sales as private sales in Germany are in fact stronger this month (see detail in last paragraph of this article). We expect VW Group deliveries to be particularly weak come September as a result. Skoda outsells Opel for the first time in German history. Renault (+21%) is the other double-digit gainer in the Top 10 all the while Ford (+4%) and Hyundai (+1%) post very weak results. French-Romanian low-cost brand Dacia (+37%) continues to gallop ahead, this time soaring to #11 which is the brand’s highest ever ranking in Germany, also reached in August 2017. Aston Martin (+113%), Lamborghini (+86%), Subaru (+56%), Smart (+53%), Ferrari (+46%), Volvo (+44%), Jeep (+43%), DS (+41%), Citroen (+31%) and Lada (+20%) also make themselves noticed further down whereas in the naughty corner we find Rolls Royce (-60%), Land Rover (-52%), Tesla (-47%), Alfa Romeo (-34%), Nissan (-26%), Alpina (-24%) and Bentley (-20%). 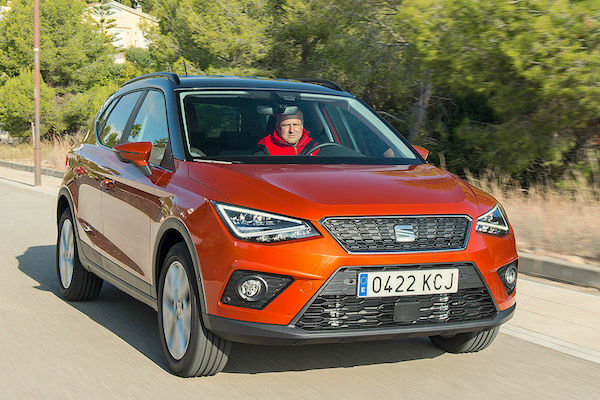 The Leon and Arona (pictured) push Seat to its highest ever volume and share in Germany. The models ranking is the theatre of a historical event. Illustrating the insolent health of all its main brands at home, the VW Group manages to monopolise the Top 9 for the very first time in German history. This unbelievable performance comes on the back of placing 8 nameplates in the Top 9 (June) and 8 in the Top 8 (May), both for the first time also, whereas the Group’s previous record before May this year was a much less impressive 5 nameplates in the Top 5 in November 2015, February 2016, April 2016, May 2016 and July 2016. The VW Group achieves this historical milestone in style, with 7 of these 9 star nameplates outpacing the market. The VW Golf (+20%), Passat (+37%), Tiguan (+73%) and Polo (+40%) ensure the Top Four is 100% VW as is the case YTD, followed by the Audi A4 (+33%), A3 (+11%), Seat Leon (+39%) equalling its highest ever ranking at #7 (also reached in August 2017), Audi A6 (+14%) and Skoda Octavia (+1%). As such, the Mercedes C-Class (-32%) is the only non-VW Group nameplate in the July Top 10, at #10. 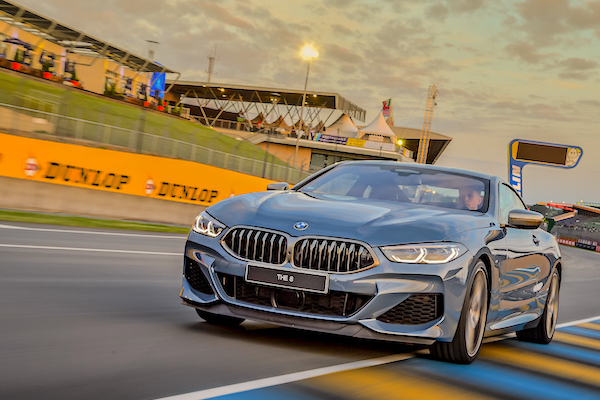 The BMW 8 Series has landed (again). Just outside the Top 10, the Ford Fiesta (+121%) finally gets boosted by the new model (as is also the case in the UK), the VW T-Roc breaks its ranking record at #13 (vs. #17 last month), the VW Transporter (#12), and Skoda Fabia (#14) ensure there are 12 VW Group nameplates in the Top 14, the Ford Ecosport (+127%), Citroen C3 (+105%), Dacia Duster (+105%), Seat Ateca (+105%), Renault Megane (+99%), Opel Crossland X (+92%), Smart Fortwo (+51%), Renault Clio (+50%), Audi A1 (+49%), Q2 (+40%), Q3 (+35%) and Q5 (+31%) post the largest improvements in the remainder of the Top 50, the Seat Arona (#26) breaks into the Top 30 for the first time and the Skoda Karoq (#45), Hyundai Kona (#81) and Volvo XC40 (#96) are the other recent launches (<12 months) inside the Top 100, the latter for the first time. 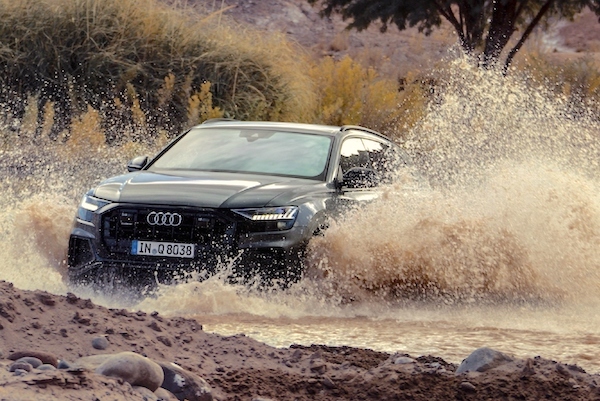 Finally, we welcome two very significant new entrants in the German sales charts in July: the Audi Q8 at #213 and the BMW 8 Series at #275. 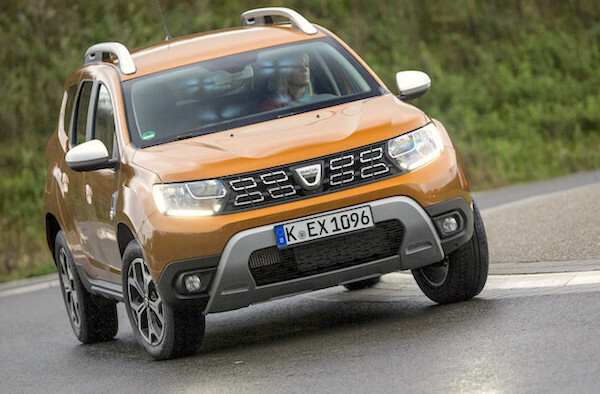 The Dacia Duster ranks 6th with private buyers in Germany in July. 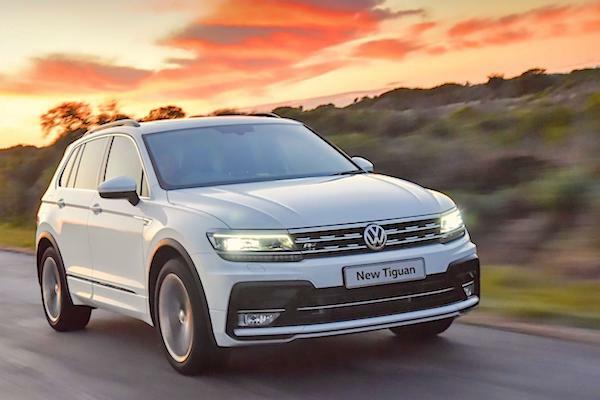 Looking at private sales only, the VW Golf (+63%), Polo (+34%) and Tiguan (+69%) are the most popular, with the Golf (35.3%) the only one posting a Private Sales Ratio (PSR) superior to its YTD level just as the Polo (54.3%) and most strikingly the Tiguan (45.8% vs. 50.3% YTD) evolve below. However the explanation that WLTP related sales are solely triggered by an unusual amount of fleet sales and self-registrations comes undone when looking at the strength of German private sales this month. Instead, it would appear the VW Group has equally focused on private and other channels to achieve its history July performance ahead of the WLTP standards. Also, sensational performance of Dacia placing the Sandero (+16%) at #4 and the Duster (+116%) at #6 with 93.2% and 91.9% PSR respectively. With the T-Roc up to a fantastic 5th place at 55.9% PSR, well above the market (37%), this means the 6 best-selling vehicles with German private buyers come either from Volkswagen or Dacia. 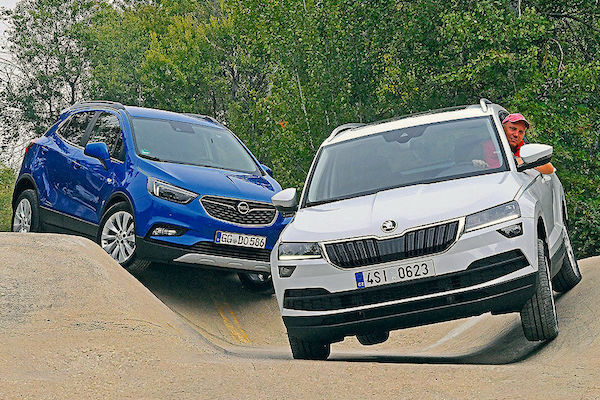 Notice also the Ford Fiesta up 230% to #8, the Skoda Fabia and Octavia both up 42% to #9 and #11 respectively, the Smart Fortwo up 30% to #12 and the Skoda Karoq cracking the Top 15. Full July 2018 Top 50 brands, Top 330 models and Top 15 private sales below.